Earlier this month, iSixSigma Live! held the second of its three scheduled Social and Networking Parties for the quality community this fall. 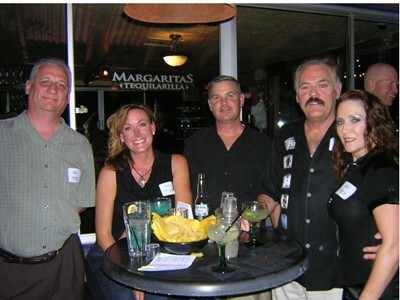 For the nearly 40 Six Sigma professionals in attendance at this event in the Greater Phoenix area, the Social was a rare chance for practitioners to strengthen old ties, meet new contacts, chat about business and just have fun. After the successful return of our iSixSigma Live! Social event in Seattle last month, we continued our momentum with a lively after-work gathering on Oct. 14 at the Old Town Tortilla Factory in Scottsdale, Ariz., USA. Sponsored by BMGI and Air Academy Associates,the amenities includedtasty appetizers, an open bar and music to helpattendees unwind in the desert air. Conversations were relaxed and friendly among the crowd, which included Six Sigma leaders from Intel Corp., Cox Communications, Bank of America, Apollo Group, Honeywell Engines, Medtronic and many other practitioners. Several guests said they were looking to learn more about Six Sigma because their company was considering a future deployment. Speaking of which, the iSixSigma Live! Social will be on the road again next week, with a stop in Washington, D.C., on Nov. 4. Right on the heels of the hotly contested midterm elections, the D.C. Social will be heavily attended with Six Sigma practitioners from across the Maryland and Virginia region. If you come to the D.C. event, come prepared with lots of business cards. Considering the gridlock seen in Congress over the last few years, you can bet that process improvement professionals will be in high demand! For more photos of the Phoenix Social, please visit our photo page.